Fast-rising 20-year-old actress Maya Hawke, the daughter of actors Ethan Hawke and Uma Thurman, has just been cast in director Quentin Tarantino’s star-studded, upcoming film Once Upon a Time in Hollywood. She joins other new casting additions that include Lena Dunham and Austin Butler, but most of the buzz is headed in the direction of Hawke, thanks to the unexpected nature of the news—her mother, Uma Thurman, having been in the news this year for her rocky working relationship with Tarantino. Thurman made headlines back in February when she shared her account of a life-threatening car crash and injury that she suffered while on the set of Tarantino’s Kill Bill Vol. 2. For 15 years, she had been trying to obtain the footage of the crash that had been denied to her, blaming various people associated with the film in the process, from Tarantino to producers Lawrence Bender, E. Bennett Walsh, and yes, the now-notorious Harvey Weinstein. She had also gotten into what she described as a huge argument with Tarantino on the set, after the crash, accusing the director of trying to get her killed. “He also did so with full knowledge it could cash him personal harm, and I am proud of him for doing the right thing and for his courage,” Thurman wrote. 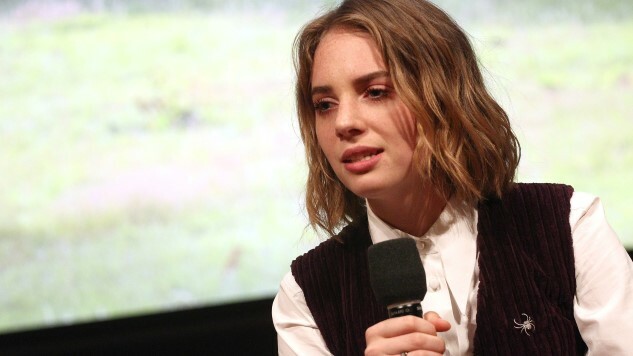 Maya Hawke, meanwhile, just made her screen debut in the 2017 BBC adaptation of Little Women, but has a lot on the horizon. In what is sure to be a star-making opportunity, she’ll be playing the character of Robin on the third season of Netflix’s Stranger Things, and one has to imagine that Tarantino will write her a memorable part for Once Upon a Time in Hollywood. By this time next year, Hawke could be an emerging superstar in the mold of Anya Taylor-Joy, for all we know.